I’m crazy for books. I read them. I write them. I collect them. I can’t live without them. Come with me for a stroll and perusal around my library—an informal tour of my book collection, my reference books, my favorites. 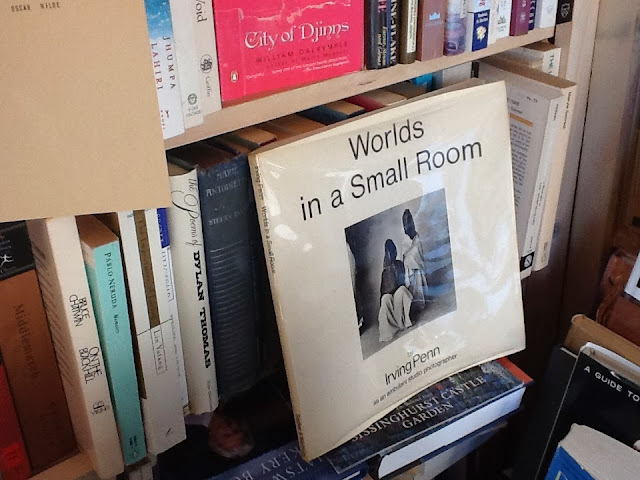 I’ve taken some pictures for you—images of books on my shelves, books I love. You might call them ‘shelfies’. As we perambulate, I hope you discover books you’d like to add to your collection, information you’d love to glean. My books are working books—for reference, inspiration, ideas and images. Their words and ideas enrich my work and my life. The books on my shelves are ripped and foxed, chipped and torn and faded. They’re read and book-marked and stashed. They are stained with morning coffee and evening ink, and they’re bumped and sometimes falling apart. They are not in collectible order. They’re not perfect. They work hard. They’re not trophies, on display. I like that. I don’t care that they are not pristine. I like signs of time passing. They are endlessly inspiring company. I hope you will discover new books and authors. Come with me and take a look. My New Year’s wish for everyone: more books. 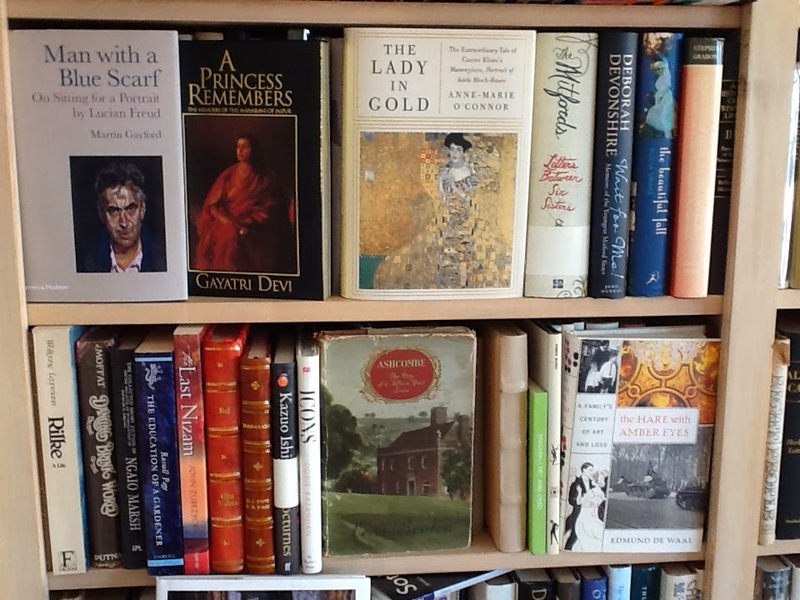 As I sit here writing, I’m surrounded by William Dalrymple, Diana Vreeland and Bruce Chatwin (‘Chatty’), Isak Dinesen (Karen Blixen) , and the Duchess of Devonshire with Paddy Fermor, alongside Francoise Sagan (smoking, bien sur) and Colette. Over there are Tom Wolfe and J.D. 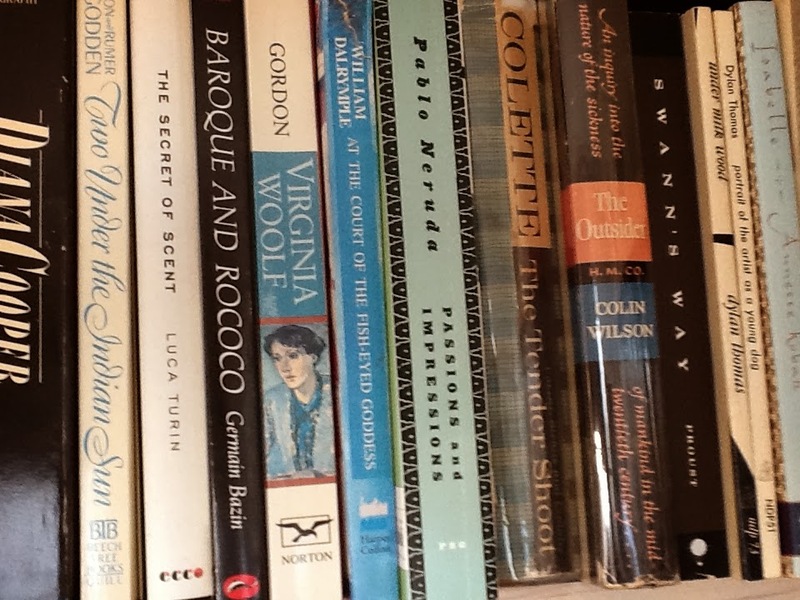 Salinger, and Jhumpa Lahiri and Jack Kerouac with Edith Wharton, unlikely friends, but essential reading. 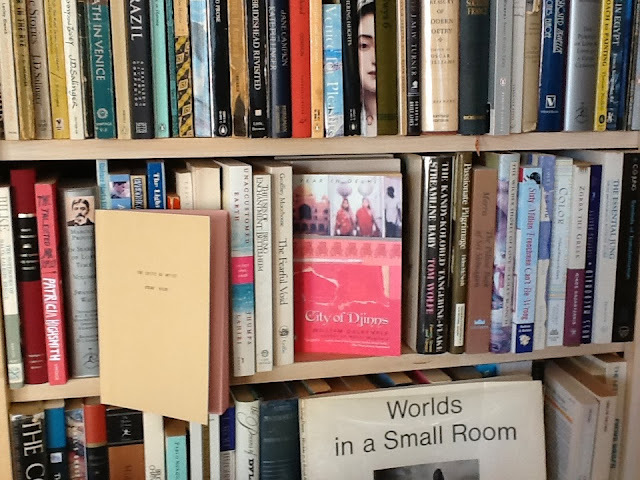 Dylan Thomas and Yeats are peering over at the quiet but mighty C. P. Cavafy. His poem 'Ithaca' is the best inspiration anyone could discover. 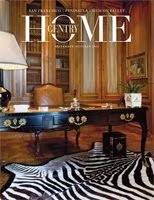 For fresh design insight I turn to Axel Vervoordt, Andrée Putman and Elsie de Wolfe. For images I have Cy Twombly, Lucian Freud, Brancusi. 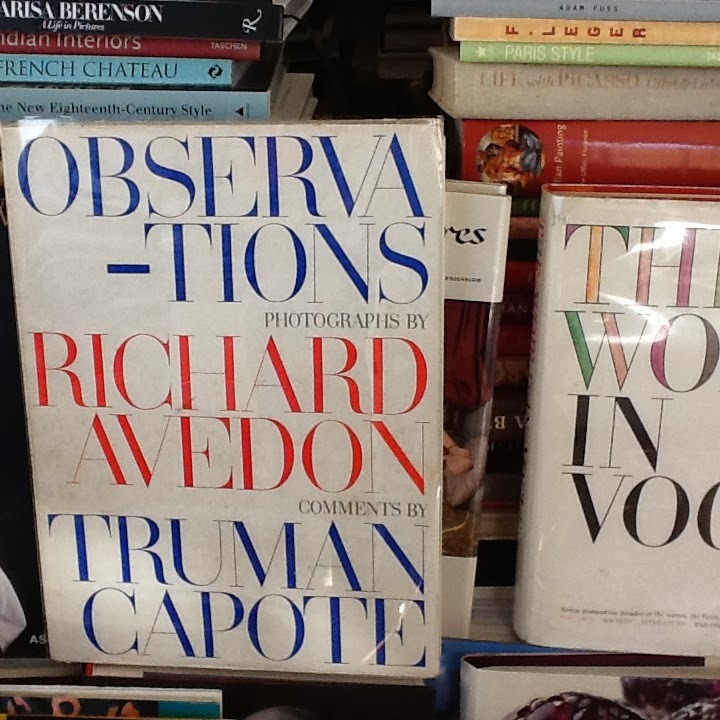 Irving Penn and Richard Avedon and Peter Beard . And up there is Pablo Neruda jousting with Gerard Manley Hopkins and Rilke, perfect companions, and then dear Cecil Beaton in conversation with Evelyn Waugh. To set dreams in motion, there are Lesley Blanch, Elizabeth David and Christopher Alexander. And at the moment, I’m on Page 233 of ‘The Luminaries’ by Eleanor Catton. Highly recommend. Set in New Zealand, where I grew up. And let’s never forget Nancy Mitford, Giuseppe di Lampedusa and the Bronte sisters. Sometimes I group authors and concepts together. The Chatwin books are adjacent, and the Dylan Thomas are close, and old Salinger copies and Tom Wolfe are stacked together. But I see that Lucian Freud is all over the place, and Diana Vreeland is scattered. I admit that I have several copies of some books. When I see a great book, and I’m not quite sure where my copy is…I buy it to be sure I have the book on hand. Many books have ripped covers, others were acquired with plastic Brodart covers to stop them from falling apart. I found some at Paris flea markets like the funky Place d'Aligre and the atmosphere old pavilion on rue Brancion, near Parc Georges Brassens. 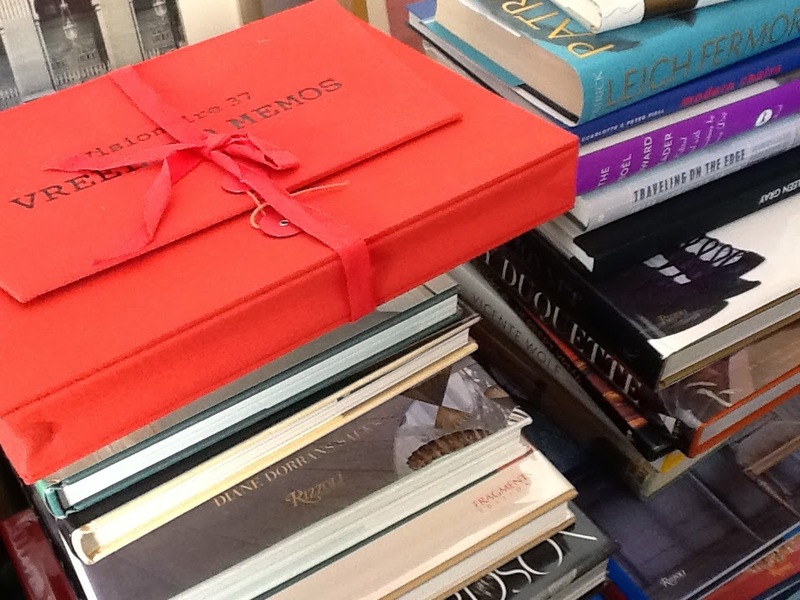 I inherited books from designer friends and collectors. They’re personal, not especially valuable because they’re used, read, piled up, jammed on shelves, and dusted a bit aggressively by my housekeeper. Yes, the stacks get topply. 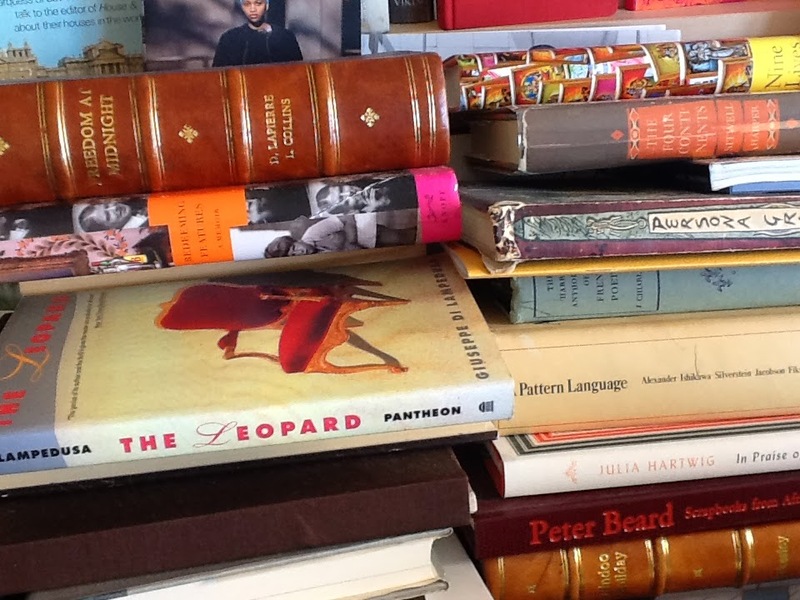 It's an opportunity to find old favorites—or to de-accession certain books no longer of passionate interest. I long ago de-accessioned almost all cookbooks—I don't cook—except a few early volumes by Alice Waters. I de-accession books and donate them to Friends of the San Francisco Public Library or to San Francisco charities’ shops I support. Diana Vreeland, she of the fervent opinions and loopy directives, worked with top art directors and photographers and together they produced some of the most alluring books. 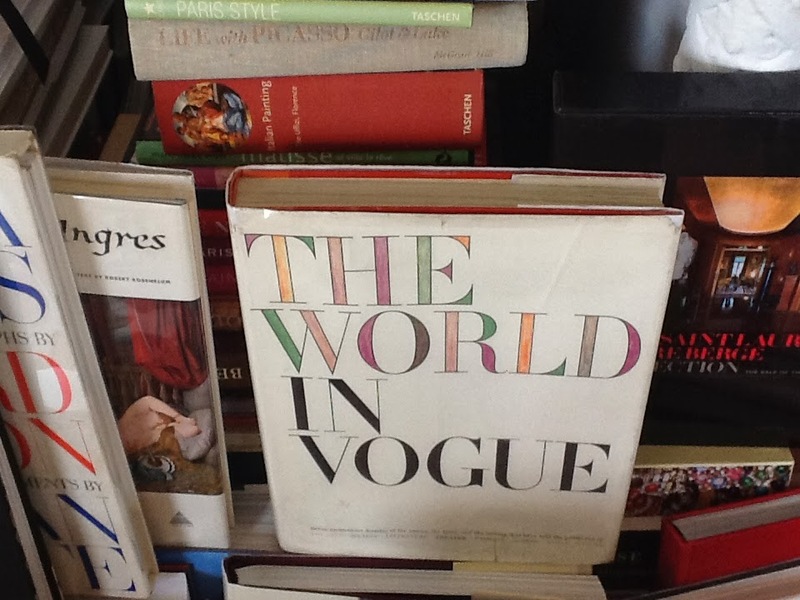 ‘Allure’ and ‘The World in Vogue’ and an old tattered copy of ‘Harper’s Bazaar’, an early compilation, are vivid. 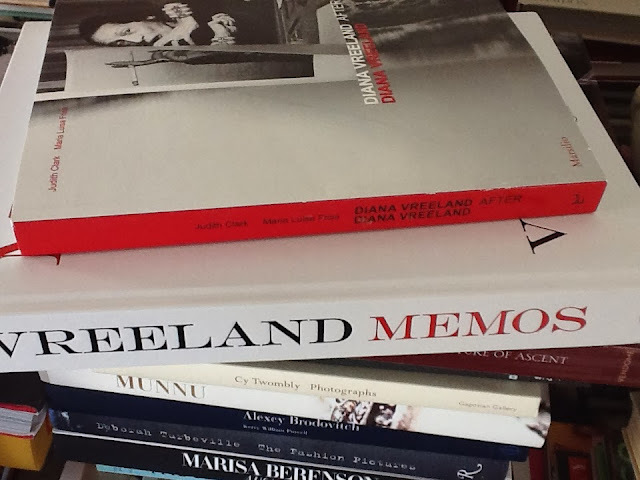 Every year there are more Vreeland ‘Memos’ books (I have a portfolio of her printed memos) and collections. No other fashion editor has been so inspiring. Hermione Lee’s biography of Edith Wharton or the Mitford sisters’ memoirs and letters, or writing by Patrick Leigh Fermor or Willy Dalrymple are among my favorite books. I seldom read fiction, although sometimes I drift into detective novels like those by Colin Cotterill about Dr. Siri, the national coroner of seventies chaotic Laos. Highly recommend. I’ve been collecting books about India most of my life. 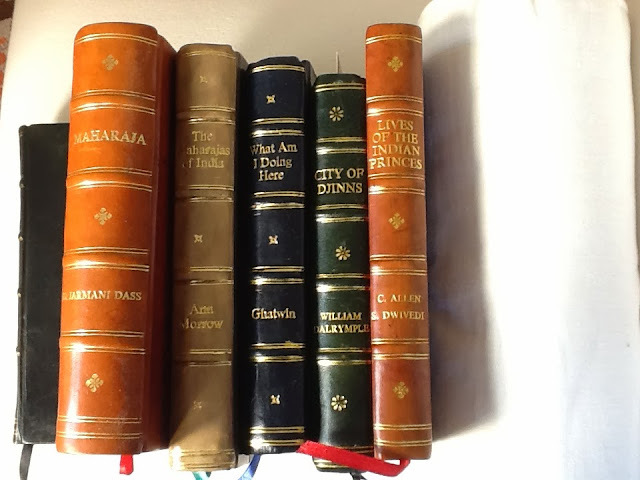 Volumes on Indian jewelry, the Mughals, the Nizams, biographies of maharajahs and maharanis, Indian history, the Raj, on Ghandi-ji, on geography and travels and regions are all on hand. 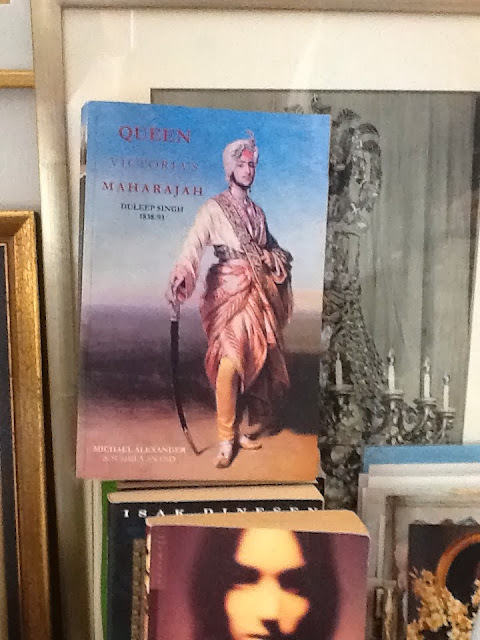 When I’m in India I’m looking for new research books—so I drop in to Mr. Jain’s bookshop at the Rambagh in Jaipur, or linger at the authoritative Bahrisons bookshop at the Khan Market in New Delhi. 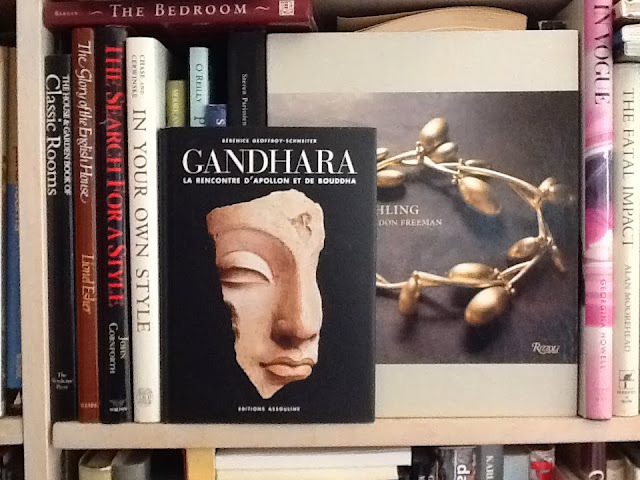 In Paris, Gallignani on the rue de Rivoli always has rare books on Indian culture and architecture. Many of my books are coming apart and I love that. I like worn pages, turning ivory. These books are the best company, with history and signs of life. I re-read my original school reference books on Gerard Manley Hopkins or Dylan Thomas. I'm reassured by favorite covers, scuffed and friendly, of books I've had since college. 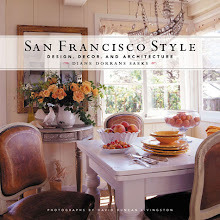 Design books are my essential references. 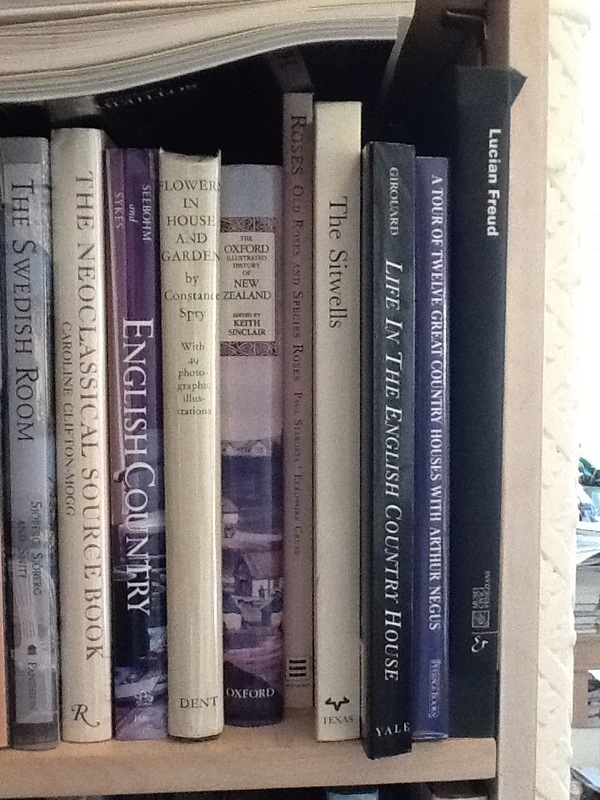 I’ll always have Axel Vervoordt’s books on hand—as well as books on the great English country houses. 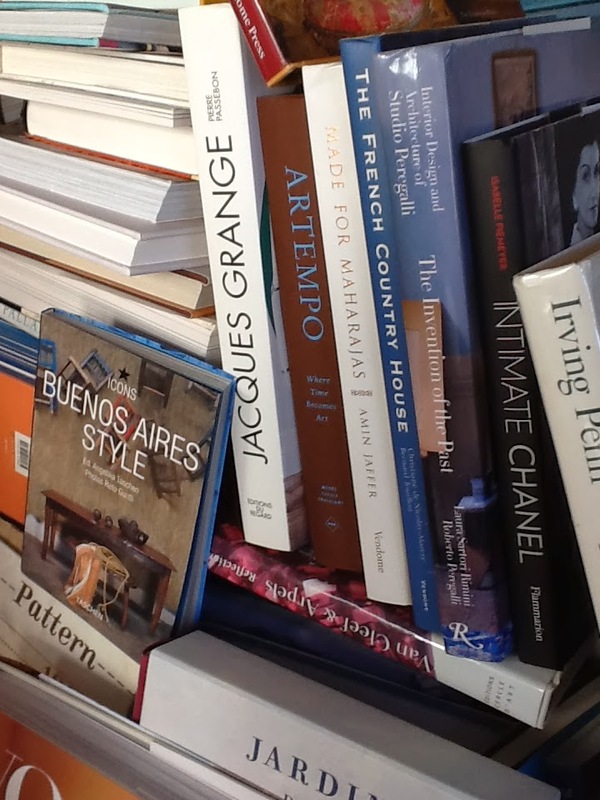 Billy Baldwin always rates a special place on my shelves—and authoritative books on French décor, architecture and design have their own section. 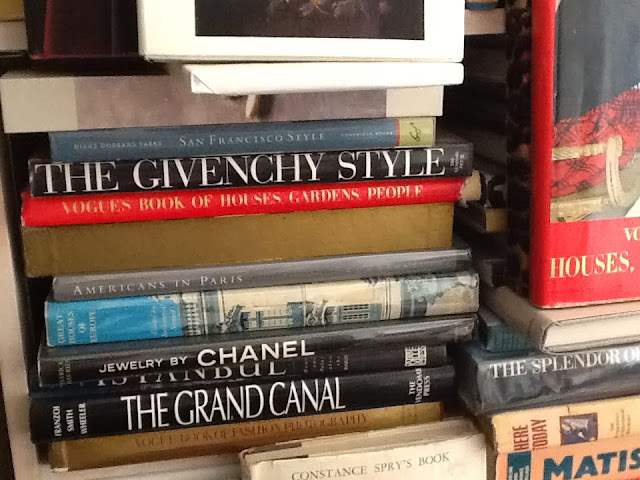 Fashion, yes, I collect designer monographs (Lanvin, Dior) and biographies. And lots of Chanel. Art: I’m always studying Lucian Freud perfectionism, and Cy Twombly makes a case for spontaneity. You may be wondering if I keep copies of my own books. Some of them are on my shelves and many are archived and locked away. 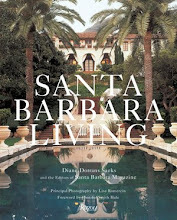 When I glance at the covers—‘Santa Barbara Living’ or ‘Michael S. Smith Elements of Style’ or ‘Ann Getty Interior Style’ or ‘Seaside Interiors’ (translated into eight languages) and ‘Orlando Diaz-Azcuy’ (all designed by the great Paul McKevitt) I observe. 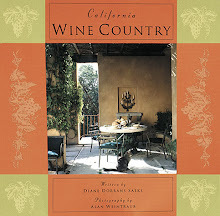 And there is the California Design Library series that is still selling like mad at Kunokuniya in Tokyo. I admire the many talented people I have worked with, my fantastically great editors and Paul McKevitt, a superb art director. 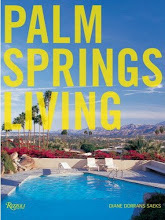 I thank my genius publishers and all the designers and architects and photographers and publicists I work with. I'm incredibly fortunate to work with the best of the best. I appreciate them every day. That’s the thrill. The great people I work with and write about. My eyes are usually focused on the book I’m writing now—but I am grateful for every book I’ve published. Always. I wish my friends and wonderful readers every happiness for 2014. I wish everyone, everywhere, a year of delicious reading, fervent discoveries and fearless turning of pages. Happy Reading! Please let me know some of your favorites—and some great books I may have missed. 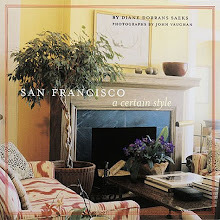 All images here by DIANE DORRANS SAEKS. What I would give to spend an afternoon browsing through your books. Like you, I seldom read fiction. Best wishes for a happy and prosperous New Years, dear Diane, wherever you are! What a treat to be taken around your library. I spotted Bonjour Tristiesse - one of my favorite books… it took me back to my days in London when I would go to Hatchards on Piccadilly in my lunch hour. Happy Memories. How wonderful to hear from you. I knew you'd like the book collection. I wish you every happiness and joy for 2014. It is going to be a fantastic year. YES! Bonjour Tristesse… a very dear friend of mine, Martin Mueller, the art dealer, found that copy and sent it to me in the Lucite frame..how wonderful. My books work too, I like that visual. I saw many of my anchors in your photographs and I took notes for 2014. I like the travel writings of H.V. Morton and the voice of apologist C.S. Lewis. One of my very favorites is The Journal of Eugene Delacroix. I was reading Monet's House by Heide Michels when I came across this line. "When Monet was feeling relaxed, he would read aloud to the family; the painter Delacroix's Journal was a particular favorite." 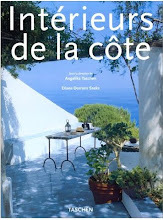 I found Monet recommendation a perfect delight. Happy New Year Diane, and thank you for the gift of your online writing! If you like Paddy LF and D Devonshire you must read James Lees Milne,! Thank you for the inspiration and push. I'm "a reader" but sometimes I get stuck not knowing what book to pick up next....this will make me stop procrastinating. Happy 2014 and a million thanks for all of your wonderful posts. I have a love of books just like you do!Although, I haven't written any……I think I have read or owned almost all of your books!I did not realize that little paper back book on Paris was yours!I loved that book!It is falling apart I looked at it so much and now I use the pages to adorn parcels I send overseas….My latest book is MEMO's…..a gift this holiday season.As I was told by a decorator that Diana and I are alike!Biggest compliment I could have been given!Happy New Year to you and HAPPY HAPPY reading! 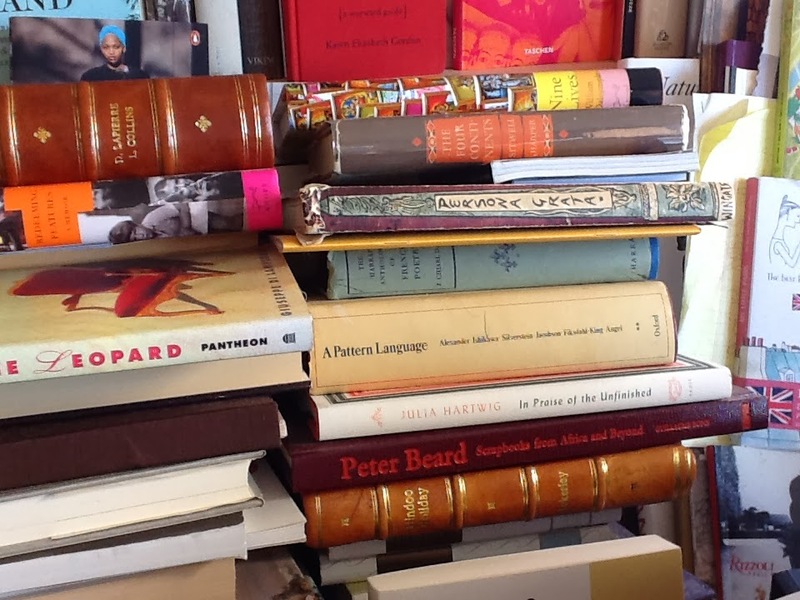 Only one volume of Proust? 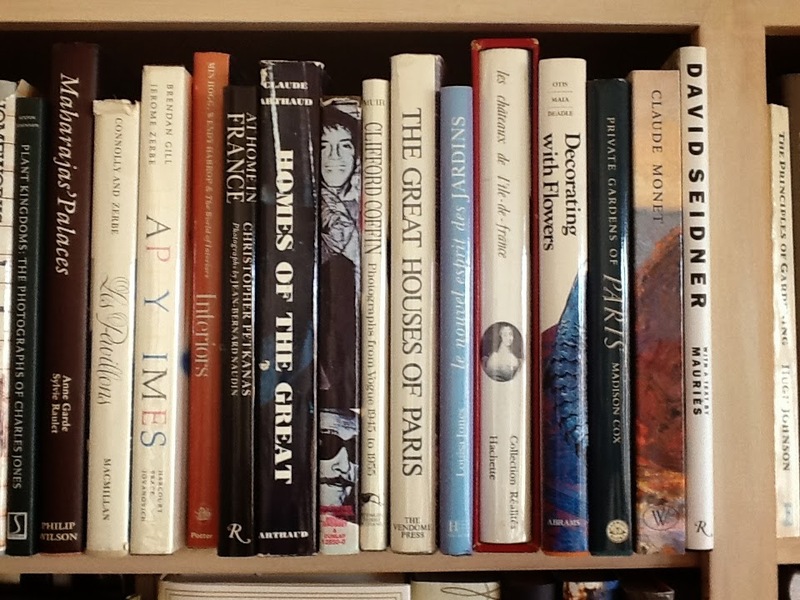 I assure you Proust is there…and many others, but did not want to look too…well, yes, flashy. Lots of activity on FACEBOOK..with this book post being posted and reposted and commented on and shared. I'm so pleased. Thank you so much for your beautiful writing and stunning images. I am a psychotherapist who loves design, and appreciate getting your email postings immensely. Many of the books you featured were familiar to me. Many were not, and my next stop after writing this will be Amazon. 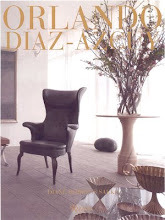 My first design book was "Billy Baldwin Decorates"--what a spectacular way to start. You asked about some your reader's favorites. Here are a few. One is Salmela/Architect, by Thomas Fisher. Some years ago, my husband and I were vacationing in northern Wisconsin, in a town called Bayfield, on Lake Superior, and had dinner at a stunning restaurant called Wild Rice. A breathtaking building. We learned that it was designed by a Minnesota architect, David Salmela, and pursued a book on his work through the University of Minnesota Press. 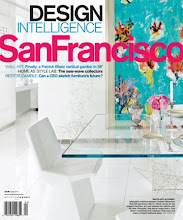 Another favorite is Carolyn Quartermaine Revealed, for new ideas about color and combining colors. Also--this fall my husband and I were visiting relatives in Nashville. Saw a wonderful exhibit of beautiful old automobiles. The book that was the catalog for the exhibit was "Sensuous Steel/ Art Deco Automobiles. I received the most wonderful message from my friend Terri, a longtime reader in CALGARY, CANADA. Dear Diane, I have soooo enjoyed reding your blog this year and while I don't always comment I do read almost every (thoroughly researched and beautifully written) post!! This is such an inspiring post! I love seeing all your design and fashion and travel books. It is such a thrill. You have a wonderful mind and life and I envy the people who get to know you in person!! What an influence you've been on my faraway life!! Happy new year and know that you are admired and wished great adventures in 2014!!! terri--happy days--lovely to hear from you, as always. embroidery I have. It pays to keep the old ones. 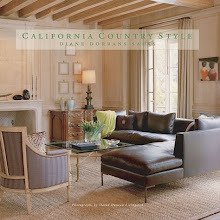 Always enjoy your blog and today's post made me think of you and your advice to me when you and David were working on California Country Style. During our chats I said I wanted to perhaps write a cookbook and you said, "Why stop there?" I didn't, I wrote My Mendocino Coast Sketchbook and A House in the Country (memoir of my pretty interesting life and Scottish ancestors). You were the impetus and you inspired me! Thank you!! 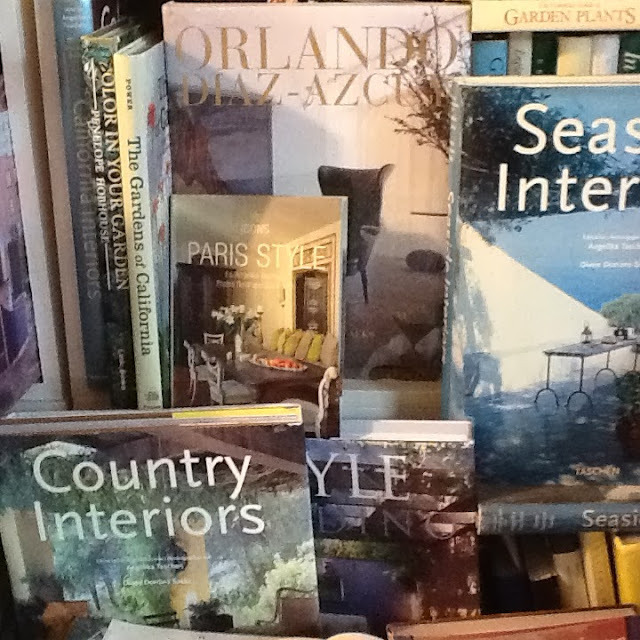 Love books too, so great to hold someone's literary efforts in your hand and peruse with cup of tea or glass of wine. It is so lovely to hear from you…much too long. 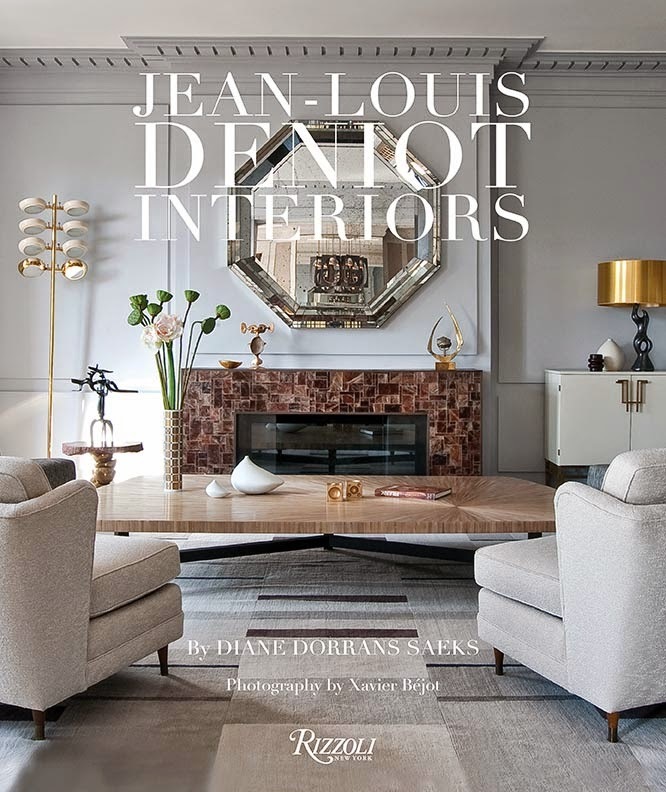 This is a small selection of my books…and yes, I worked on PARIS STYLE…you will see my credits at the back…and the image on the cover of PARIS STYLE, which I love…I directed with Deidi von Schaewen and the wonderful designer, MYRA HOEFER who decorated that divine apartment. 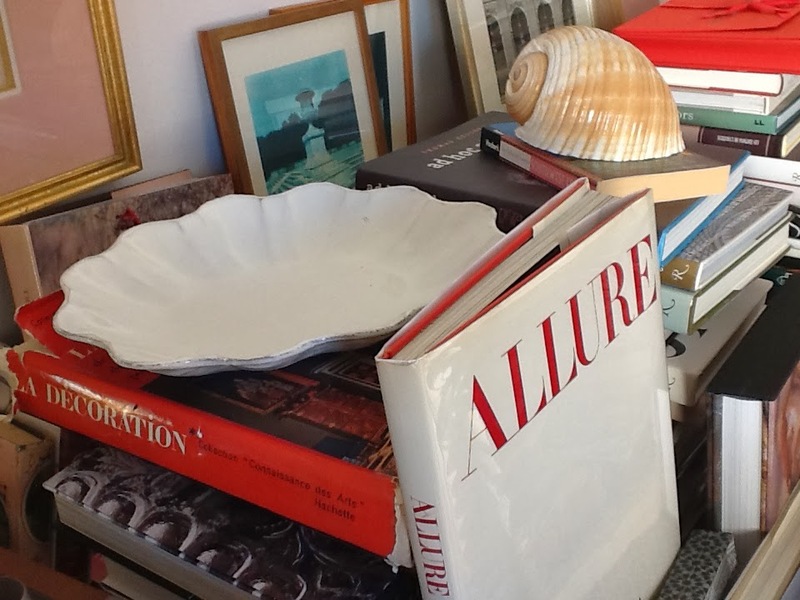 We shot the apartment on a Sunday…and first thing in the morning dashed out to get flowers, stalks of fennel (on mantel) and all the peaches on the ASTIER DE VILLATTE white platter not the table. I hope you enjoy the book…and look closely at every detail in that particular apartment and the others by Myra Hoefer…they are delicious. Happy new year Diane! 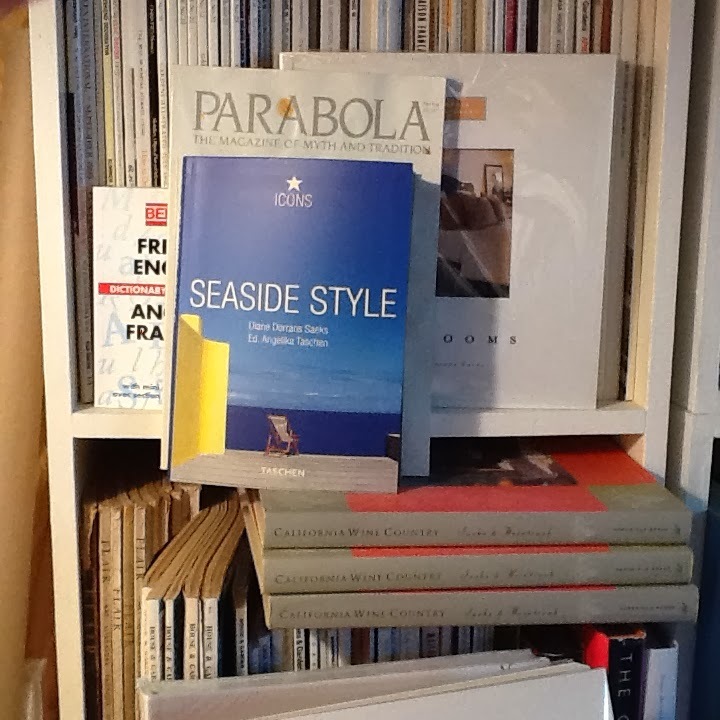 I have that seaside style book and should have realized...You do have an enviable book collection indeed. But I can't seem to see anything from Constance Spry which is a bit of a blast from the past? 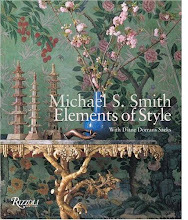 I like retro books lately despite the recent publications of some great coffee table books on design like Fifth avenue style etc. Do you collect old magazines as well? This was a really enjoyable post and much fun trying to read all the book spines :) Warmest regards. If you are in London, I hope you are somewhere beside a fire with a good book…make that books. Yes…I do love CONSTANT SPRY…and she is in several places in my book shelves…usually somewhere near Vita Sackville-West or some of the English design books. A couple are in the images. I do collect vintage magazines…there are some wonderful issues of FLAIR in the image that has the small SEASIDE STYLE icon book…down to the left. I'm also enjoying some of the new 'bookazines'…quarterly and bi-annual magazines like KINFOLK…look at my collection of them in the stack that includes the INDIA ROUGH GUIDE on the top…KINFOLK is published in Oregon…is very 'simple chic' and worth collecting…each issue a different topic (the current one food, and white hair…)…I also like CHERRY BOMBE though they all have too much cooking…I don't cook. 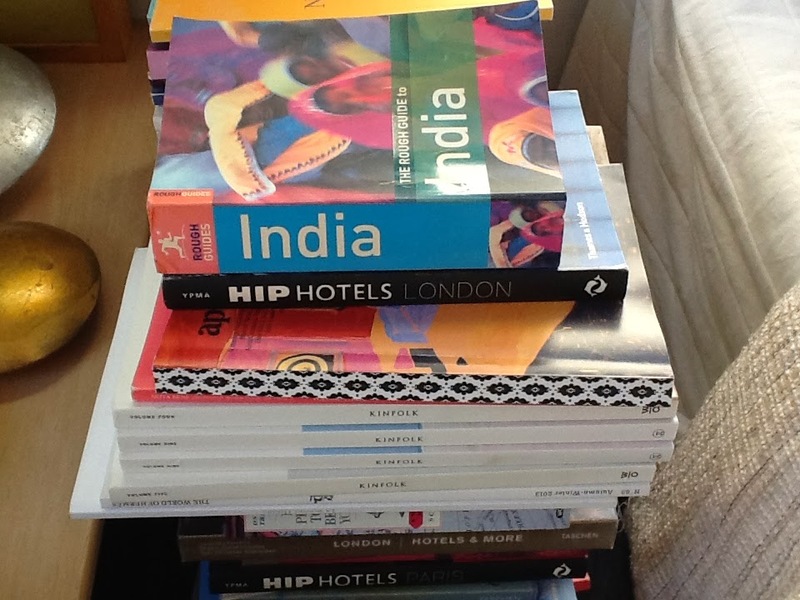 I also like APARTMENTO which is in the stack with the INDIA ROUGH GUIDES book. APARTMENTO…worth seeking. 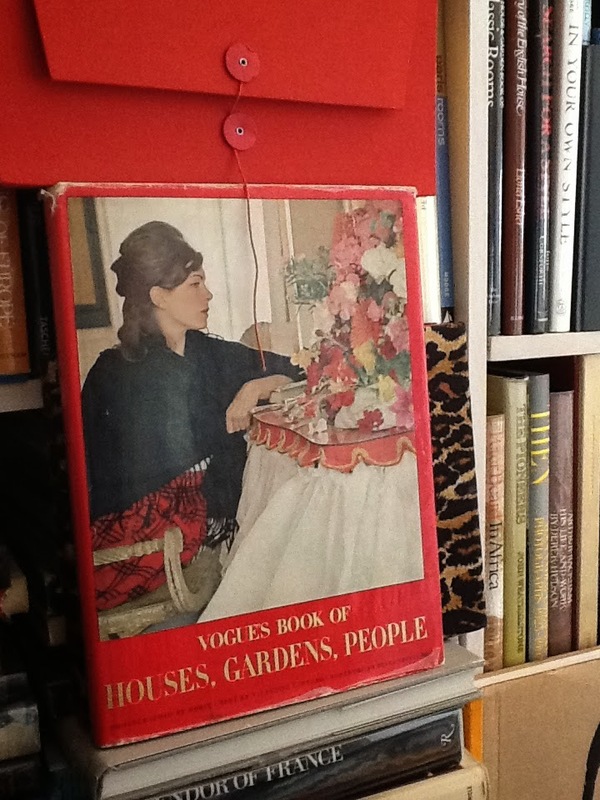 YES…AND HG…remember when Anna Wintour did House and Garden briefly…so chic. I have them. Send me any other ideas please…esp. biographies..I keep stacks of 'books to read' and always look for more. I think this post needs a part 2 and part 3! A lot of my books are in storage but I can't wait to get my hands on them and get some inspiration. 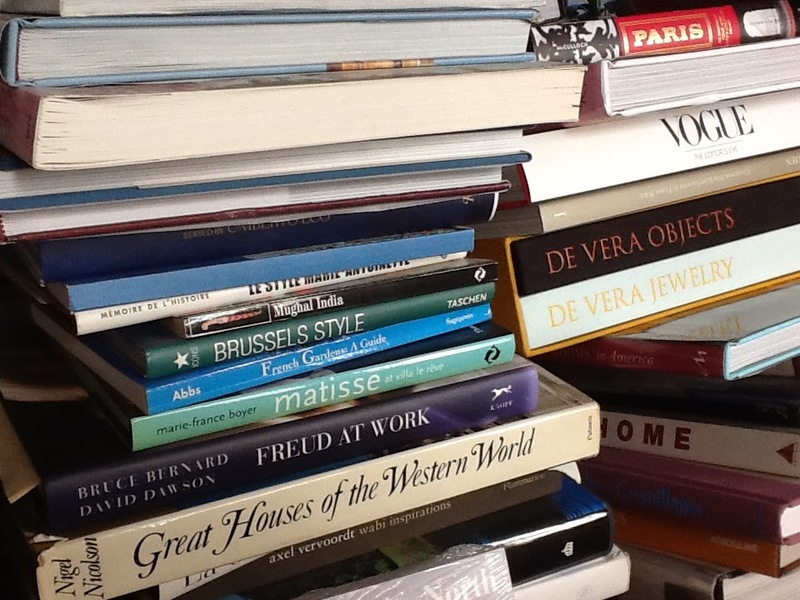 Thanks for all the tips - I must create a list of books to read for 2014! 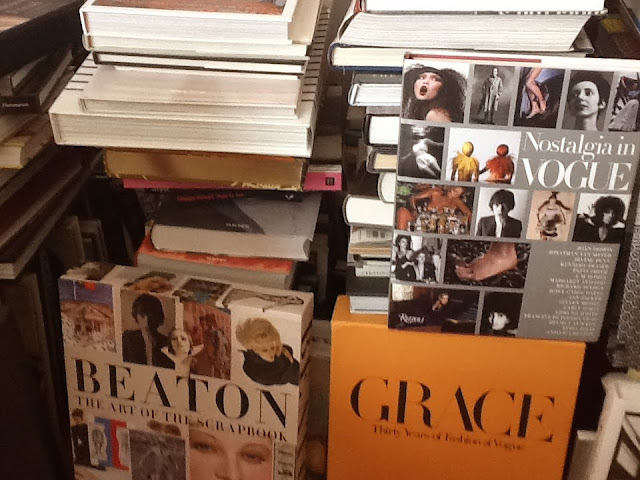 Yes…I've been overwhelmed by the response to my rather informal and impromptu images and books. I live with my books every day, and they offer pages and pages of inspiration. In many ways, the authors and the books are very connected. 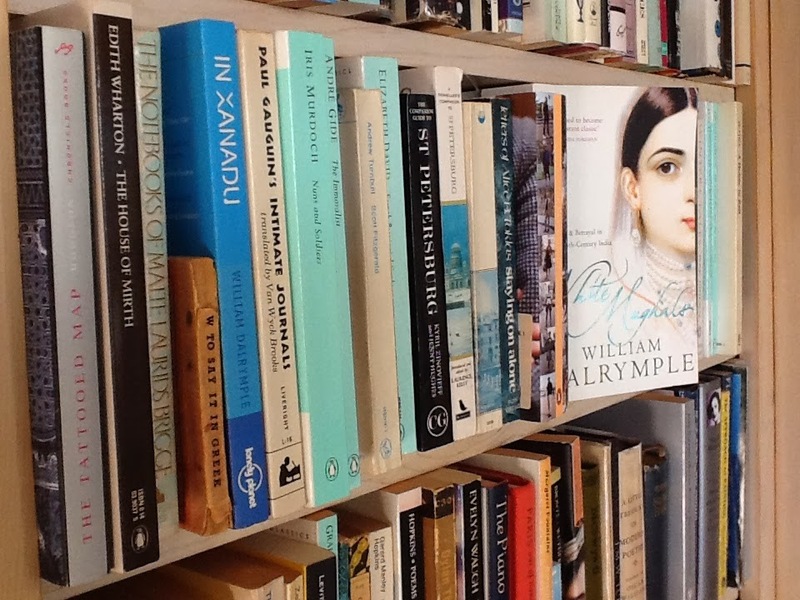 I have various passions--the Mitford sisters, and their friend Patrick Leigh Fermor…and then two writers Fermor inspired, Chatwin and Dalrymple. And then…Manley Hopkins who inspired Dylan Thomas…and I've got various friends represented, like Cecil Beaton who worked with Diana Vreeland, and CHANEL, and Marisa Berenson…and then Avedon and Penn who worked with Vreeland…so it's a lot of friends, really.And Axel…and then designers he has inspired. 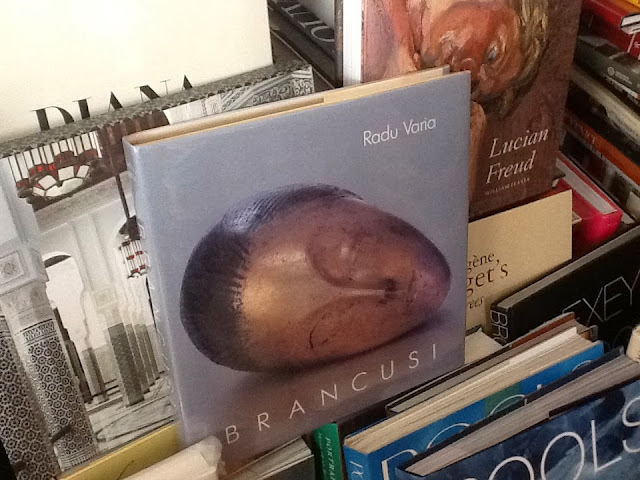 And Lucian Freud…the great..and a wonderful series of books I've collected on him. 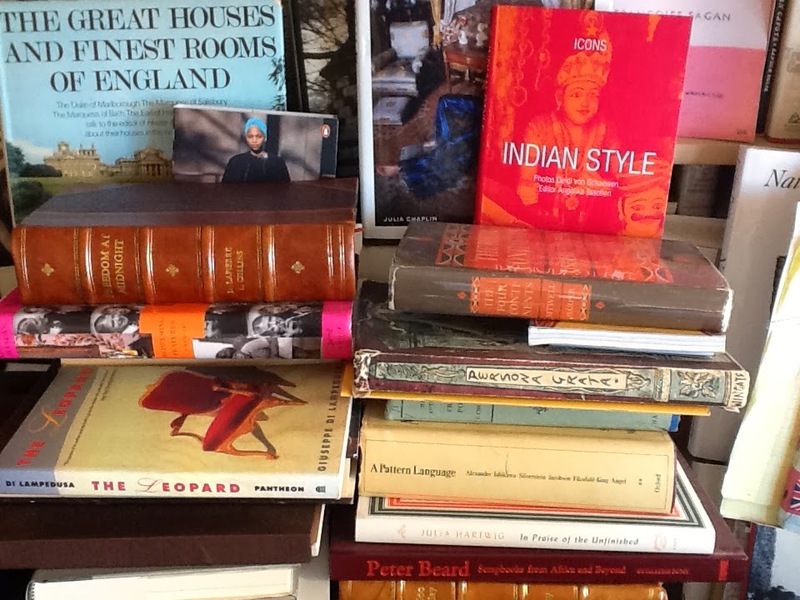 And lots of books on India--and Indian maharajahs and maharanis…so much to learn. 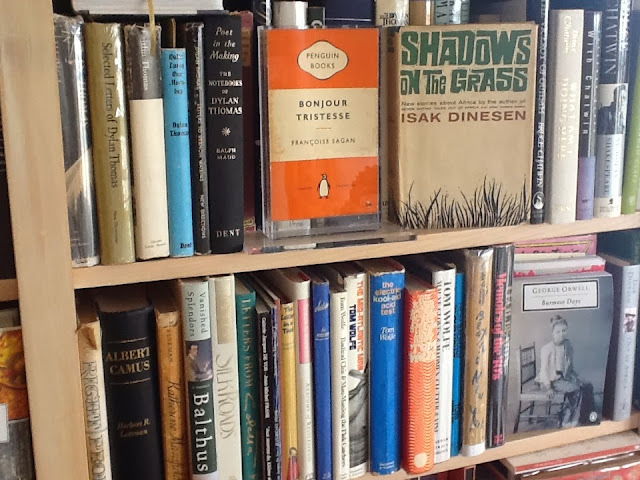 All the books are foxed and bumped and faded with bright California sunshine…and dusted and chipped. I love it. I will definitely keep in mind to do a follow up…or let's say an informal different round-up showing more books and more inspiration. I'm delighted everyone was inspired. I'm honored. It's so lovely. Love this post, Diane, and your own books and your book recommendations have enriched my library. 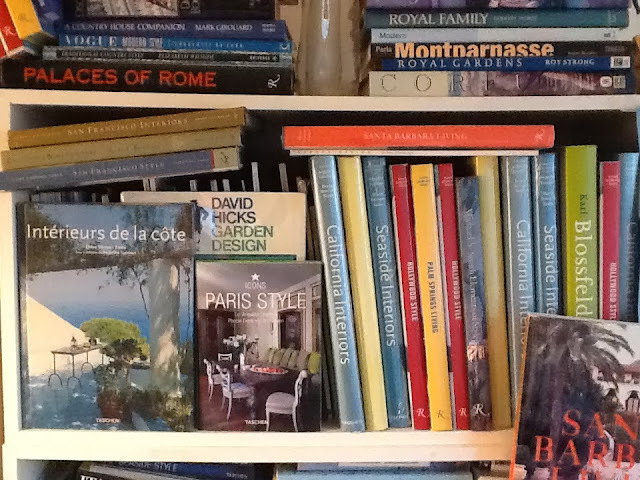 My house is filled with books -and I see so many familiar titles -friends -on your shelves -books I treasure and look at constantly for reference, sometimes, and for pleasure, always. 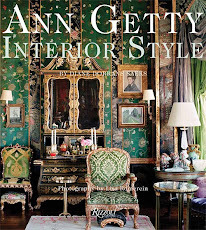 A book that has combined reference with pleasure was William M. Odom's 1919 "History of Italian Furniture" - definitive in that subject, and combined with engaging, opinionated passages that recreates the milieu of each period -the Venetian Rococo passages are memorable. Odom certainly had a point of view! I have been encouraging my clients to purchase artist monographs, published by galleries such as Gagosian with outstanding catalogs. Another favorite publisher is Steidl. These books can be works of art in themselves -art that is to be engaged, the wear of constant handling a testament to their power to inspire. Love the photography here in this post, too -the photographs of these bookshelves, the books all stacked and variously arranged and combined with framed prints by Atget and others. Speaking of photography, the work by Hans Georg Berger in the previous post was sublime. Thank you for the inspiration, and best wishes for the New Year and always. And may I say how much pleasure you give me--and your legions of fans--with your superb and emotive and glorious photography of the Headlands, the covers and forests near San Francisco. Superb. Thank you of your wonderful observations. 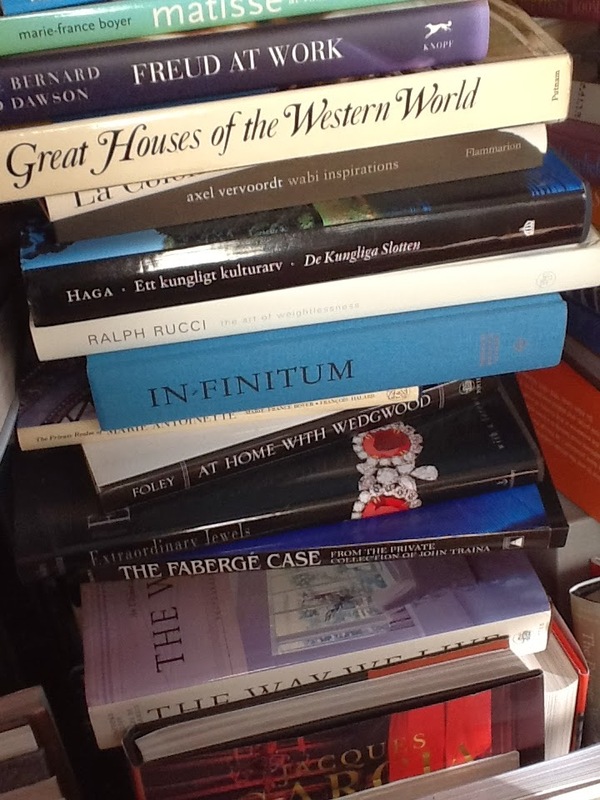 You are absolutely right…ARTIST MONOGRAPHS…yes, essential to collections. I have a solid collection of Freud and Twombly and some others. You are right…collecting at galleries is essential, and sometimes the only location (I've found excellent small limited edition pieces at galleries that I like. 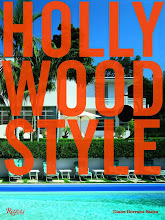 And you are correct-- STEIDL--is a wonderful and rare resource with unusual and limited edition books. I must say I have been truly gratified by your and all of the other responses to my book photos and observations. Happy New Year to you. I feel very privileged to be invited into your library and browse the books you love. You have such a great passion for books and it shows the eclectic taste you have in your collection of books that must have been acquired, read, re-read and treasured over the years. There are so many books I could think of taking down and read a few pages or the whole book depending how much time I've got in your library. I love writings of Bruce Chatwin especially his short articles and essays collection titled "What am I doing here". So you can imagine my ineffable delight when I saw a hardback collector's edition of this book in your picture!! Alas, I only have got a paperback, a very modest second hand copy of this book but I absolutely cherish this copy as it's never too far away from my bedside table for a late night reading. There are many rare books, largely travel literature and non-fiction and autobiographies. 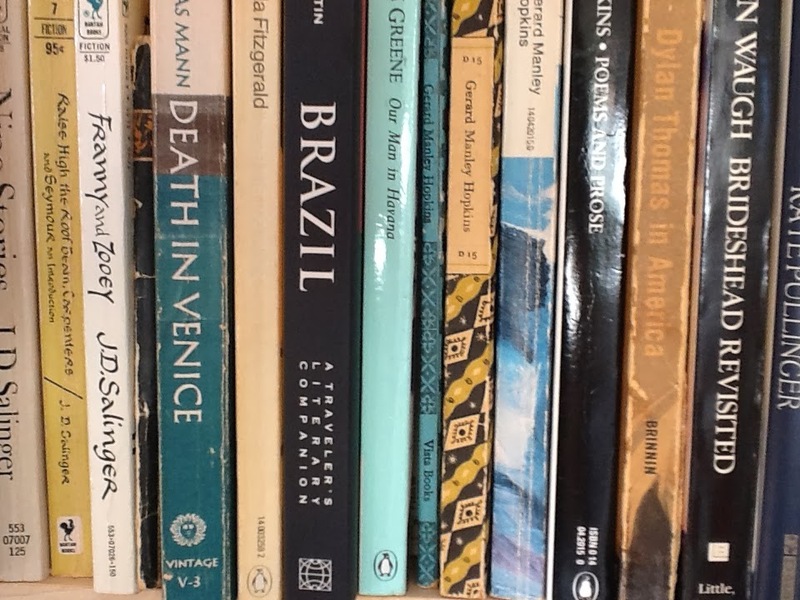 I can see some elegant novels on your shelves...Proust, Camus, Greene, Andre Gide and Iris Murdoch - all delightful and I would not pass their books without saying hello to them. PS. I thoroughly enjoy reading your two previous posts on Laos. It's breathtakingly beautiful especially the photographs of Buddhist monks by Mr Berger brought a spiritual light and solace in the cold, solemn month of January. ASD--you are one of my very original readers…and you found me after about two weeks of posting. I'm so happy to hear from you about my BOOK COLLECTION. I hoped you would see it. You picked all the good ones--and yes, if you lived nearby…or near at all…you could come and visit and find your way among the stacks. The current books are a refinement of an edit…of a refinement…and are the books I really want to have around me for ideas and inspiration and sometimes for sentimental readers (school poetry prizes and college studies). I've found these books all over the world--and they are a jolly collection of the people and topics I follow and are passionate about. 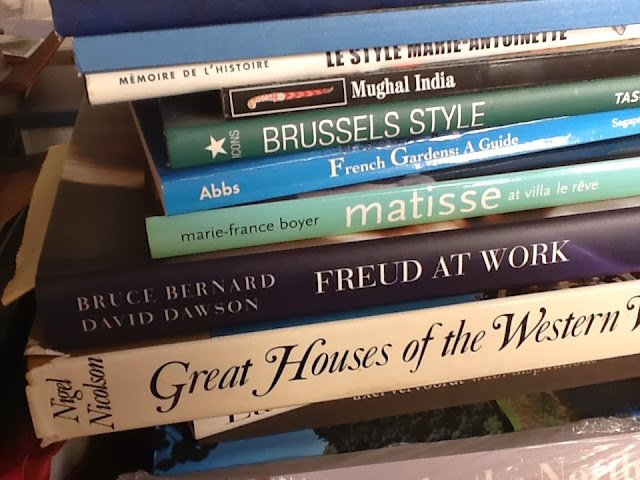 Many of them are connection to art (Twombly and Freud and Caravaggio and Delacroix) and most are about style, design, fashion, style people (Vreeland and her coterie) and TRAVEL writing of course. I've been following Chatwin and have everything about him…and LEIGH FERMOR I have, and now the biography. 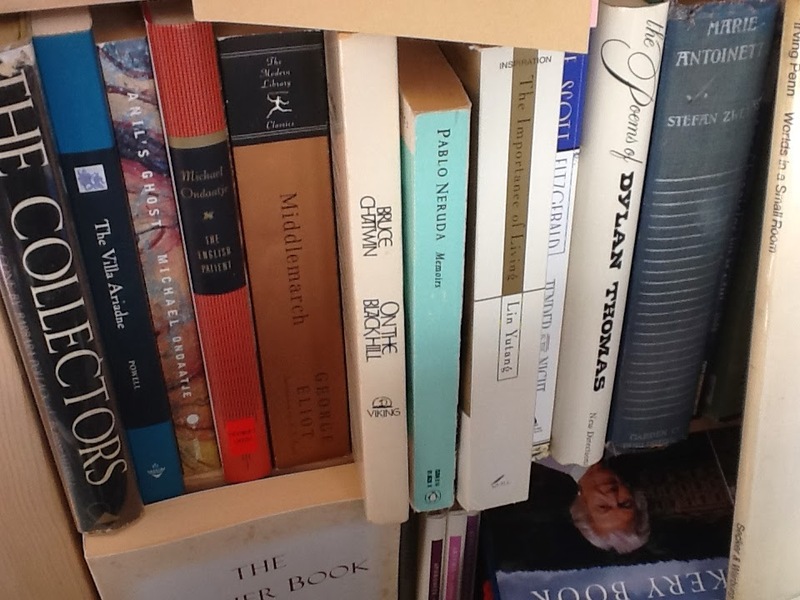 I buy books…regardless of their condition…and often I have various versions of the same book. These are not pristine…and they are not plastic-wrapped as an 'investment'…I never notice the prices, and really, that is not the point. It's the content, not the trophy. I see that the bright California light has faded some spines…and that's fine. It reflects time passing, life happening, daylight, years. I loved your comments…I will definitely do more BOOK posts and have some in mind that I'm excited about.